INTEGRAL YOGA CENTER OF LOS ANGELES | official website for the IYCLA: a non profit Yoga and Spiritual Center – Founder/Spiritual Head: H.H. SRI SWAMI SATCHIDANANDA President/Director: Nirmala Heriiza, BA, CYT, (doctoral candidate) Domain image: Sacred Shrine of Lord Nataraja – Yogaville, Va. Included: PRE-RELEASE TRACK OF A MESSAGE FOR THE NEW MILLENENIUM BY OUR LEGENDARY "WOODSTOCK GURU", from an upcoming Complilation CD in development also featuring music legends ALICE COLTRANE, CAROLE KING, SANTANA JOHN STEWART and others WEBSITE LINK TO DR YOGA (PenguinTarcher) by Nirmala Heriza website: http://dr-yoga.com ..
official website for the IYCLA: a non profit Yoga and Spiritual Center – Founder/Spiritual Head: H.H. SRI SWAMI SATCHIDANANDA President/Director: Nirmala Heriiza, BA, CYT, (doctoral candidate) Domain image: Sacred Shrine of Lord Nataraja – Yogaville, Va. Included: PRE-RELEASE TRACK OF A MESSAGE FOR THE NEW MILLENENIUM BY OUR LEGENDARY "WOODSTOCK GURU", from an upcoming Complilation CD in development also featuring music legends ALICE COLTRANE, CAROLE KING, SANTANA JOHN STEWART and others WEBSITE LINK TO DR YOGA (PenguinTarcher) by Nirmala Heriza website: http://dr-yoga.com ..
H.H. Sri Swami Satchidananda Maharaj – Featuring video caveats including: “Prevention is better than cure”. 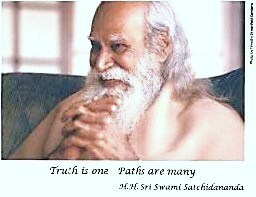 It is with great pleasure that I extend to you an invitation to come and join us at the opening dedication of Swami Satchidananda, Light Of Truth Universal Shrine(LOTUS) on 22 December 2014 at 4pm, on the occasion of The Centenary Birth Anniversary of His Holiness Sri Swami Satchidananda Maharaj at his birthplace in Chettipalayam, Coimbatore, INDIA. Please treat this as our personal invitation and bless us with your presence. This entry was posted in Uncategorized on December 16, 2014 by nirmala heriza. 2014 marked THE CENTENIAL birthday of H.H. 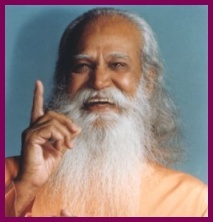 SRI SWAMI SATCHIDANANDA. scroll through to see ways we’re continuing to honor his SPIRITUAL LEGACY. 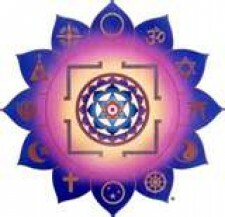 The Integral Yoga Center of Los Angeles was founded by H.H. Sri Swami Satchidananda Maharaj. While in keeping with his Philosophy of Diversity we honor all Faiths and respect all systems of traditional Yoga, in our effort toward protecting the Legacy and Authenticity of Sri Swamiji’s Teachings, the Yoga programs the IYCLA offers and recommends to our students adheres strictly to the original version of his Integral Yoga Teachings, available through diverse formats, including published books, DvD’s, CD’s and other media variations. We also make available works by other Saints and Sages of all Faiths, Yoga Masters, Authors,and Teachers whom he has referred to many times, and recommended including H.H. Sri Swami Sivananda, The Teachings of Lord Jesus, H.H.Ramakrishna Paramahamsa, The Holy Mother Sri Sarada Devi, Swami Vivekananda, Swami Yogananda, Gandhi, Mohammed, Judaism, as well as all medical adaptations of traditional Integral Yoga approved by him. 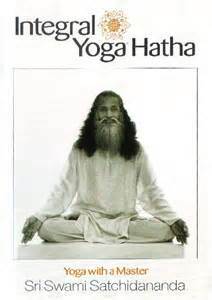 While at this time the Integral Yoga Center of Los Angeles does not have a physical location for classes in the Los Angeles area, in the interim, those interested in his Hatha Yoga programs and other other traditional teachings can access them directly through his many books, DvD’s and CD’s available on Amazon and through Shakticom. Private instruction available through the IYC, by appointment, on a housecall basis. Stay tuned for “THE FIXERS” with Dr. Yoga, an Ananda Productions/Heriza and Ford Reality T.V. Show focused on Integrative Medicine, in development for “Discovery Health Channel”, in association with Award winning Natural9 Entertainment, featuring the traditional “Integral Yoga Teachings of Sri Swami Satchidananda”. . Our Show will include a comprehensive resource network of diverse medical professionals and organizations, specializing in Holistic and Integrative Medicine. With Blessings of love, light, optimal health and abundant prosperity. “INTEGRAL YOGA HATHA YOGA WITH A MASTER”: BESTSELLING DvD with SRI SWAMI SATCHIDANANDA Study Hatha Yoga directly with the MASTER! AMAZON: http://t.co/Cg6b1zFCUf 2nd EDITION: SHAKTICOM: http://t.co/WbxyY1XaUS SRI SWAMI SATCHIDANANDA with “Arthur”, the famed MGM LION. Media Representation: http://dmghq.com (David Morey Group) (Consulting clients include Presidents, Obama and Clinton; Al Gore,News Core Niki Disney, Seagrams, Coca-Cola, Lous Vuitton, Visa and other political Dignitaries and Corporations. “Let Us Walk Together” by Heriza and Ford as featured on their “Hearts Together” CD. (Amazon) NeonDreams Music Founder/Producer Grammy honored John Stewart (Kingston Trio) herizaandford.wordpress.com Inspired by the Teachings of Sri Swami Satchidananda —click link and scroll to listen to complimentary track. If you have complete faith, nothing is impossible! This entry was posted in Uncategorized on December 22, 2011 by nirmala heriza. L.O.T.U.S. 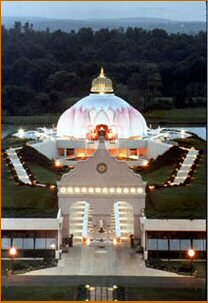 Light of Truth Universal (All Faiths) Shrine located in Yogaville, Buckingham, Va. A beacon of Sri Swami Satchidananda’s Ecumenical Teachings. This entry was posted in Uncategorized on May 8, 2011 by nirmala heriza.